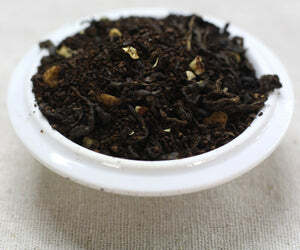 Ingredients: Black tea (puerh), coffee beans, almond, butterscotch drops (contains dairy), jasmine petals. contains Nuts. gluten and dairy free. Who doesn't love a good shot of espresso now and again? We thought we'd challenge your concept of what tea can be. This bold dark sip features deep coffee notes with a creamy note on the finish. 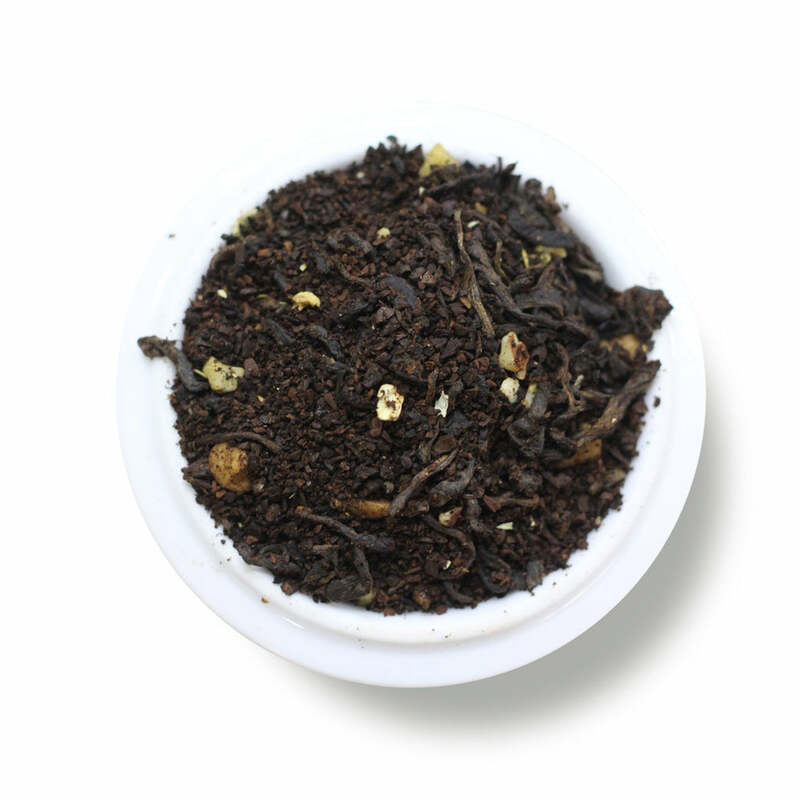 You'll enjoy this tea with a hit of sweetener to bring out the caramel flavors. Mug (8oz water):2 level tsp • 205º • Steep for 4 min. Teapot: (8oz water): 1.5 level tsp • 205º • Steep for 3 min. This was my first Field to Cup tea, and it's amazing! I start my Saturdays with a mug and a splash of milk, then another about an hour later. Really helps me power through all the early morning weekend chores:) The coffee flavour is not overpowering--i.e., it doesn't taste like tea made in a coffeemaker! Very smooth profile. I won this tea in a giveaway, but it was the first tea I added to my cart!